Aive Viljus (Tallinn University, Archaeological Research Collection), Mart Viljus (Tallinn University of Technology, Centre for Materials Research). 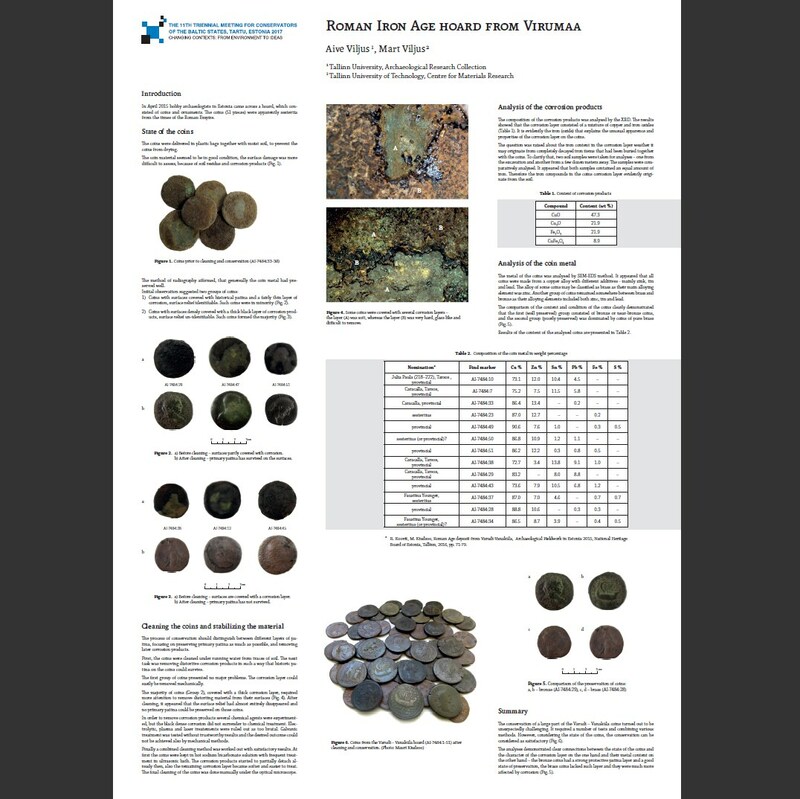 The conservation of a large part of the Varudi – Vanaküla coins turned out to be unexpectedly challenging. It required a number of tests and combining various methods. However, considering the state of the coins, the conservation can be considered as satisfactory. The analyses demonstrated clear connections between the state of the coins and the character of the corrosion layer on the one hand and their metal content on the other hand – the bronze coins had a strong protective patina layer and a good state of preservation, the brass coins lacked such layer and they were much more affected by corrosion.